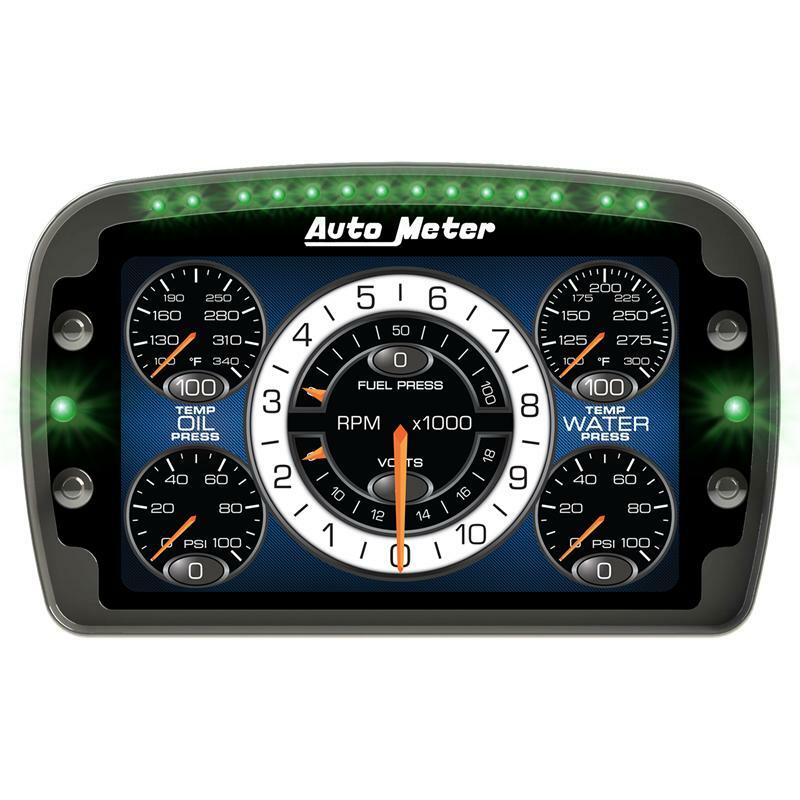 Size 8-1/2" x 5-1/4" x 1-3/8"
The Auto Meter Competition LCD Display is the next evolution of driver communication and data acquisition. Designed specifically for the harshest of environments, the carbon composite housing is IP65 sealed against water and dust intrusion and will easily withstand 20g of continuous vibration and 50g of shock. Our 7” LCD panel ensures easy visibility under all circumstances with a retina level pixel density, unmatched brightness and an optically bonded lens for extreme glare suppression. The display layout is fully configurable to your individual specifications. The system will accommodate four programmable data bus channels (2 CAN and 2 serial) in conjunction with a nearly limitless amount of discrete analog sensors and its integrated 3 Axis Accelerometer. Data collection can occur at up to 1 kHz and the internal memory allows for practically infinite recording time. User definable warnings take advantage of super bright, multicolor LEDs placed around the perimeter of the chassis to alert the driver to critical onscreen information. 1 USB port: data exchange, configuration,copy/upload, & firmware updates.